Hundreds of prospective students and parents are set to attend the school's annual Open Morning this weekend, where they can get a glimpse of the facilities and take part in dozens of interactive workshops and activities showcasing what Highfields has to offer. 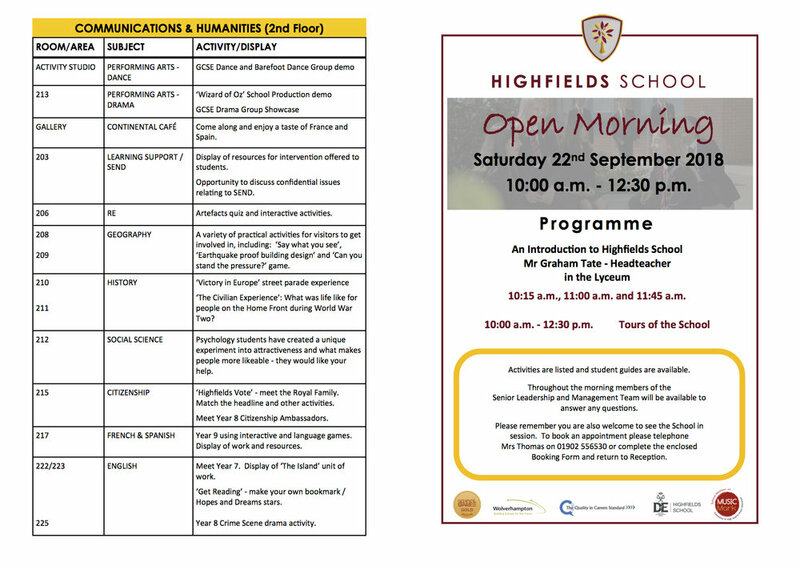 The Open Morning will take place from 10am to 12.30pm on Saturday 22nd September. Hands-on scientific experiments, Guitar Hero music challenges, trampolining and gymnastics displays, maths challenges, dance and & drama displays, pizza making demonstrations and language games are among the many activities lined up for the event. Visitors can also learn how to pack a rucksack as part of a Duke of Edinburgh display, experience Victory in Europe street parade celebrations, take part in an experiment designed by psychology students into what makes people more likeable and solve a ‘crime’ by trying their hands at finger printing and fibre analysis. A cake sale will be held on the day to raise funds for Macmillan Cancer Support. Headteacher, Mr G Tate, will speak to parents in The Lyceum at 10.15am, 11.00am and 11.45am. 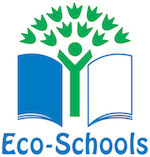 Mr Tate said: “At Highfields, we pride ourselves on providing youngsters with a high quality education, an engaging curriculum and a wide range of extra-curricular activities to enrich their learning experiences. The Open Morning comes after Highfields celebrated another fantastic set of GCSE results, with more than half of all students achieving the highest grades. Students raised the bar to attain higher grades than last year, with 76% of students achieving a standard pass (Grade 4 or above) in both English and Maths, and 56% of students attaining a strong pass (Grade 5 or above) in both English and Maths. Posted on September 19, 2018 by Vicky Nash.